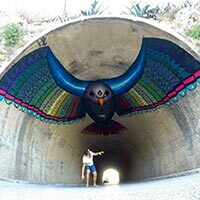 A beautiful colorful eagle painted on the roof of a tunnel in Ibiza, Spain by Mexican street artist Spaik. This beautiful piece of art was named “The Flight of the Eagle” done as part of the Bloop Art Festival in 2016. 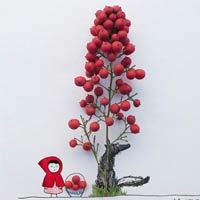 Artist Jesuso Málaga from Malaga, Spain creatively turns flowers & everyday objects into art. He looks at everyday objects (especially flowers) in a totally different way that opens the door of a world of creative possibilities for him.